Have you moved to the Lophams’ in the last couple of years? 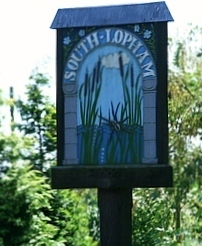 Would you like to know more about The Lophams’ Society? If you answer yes to either of the above questions then we would like to invite you to join us for drinks and nibbles at The White Horse public house in South Lopham on Monday 20th May between 7 and 9pm. All new residents are welcome. For further information please ring Granville Horan on 01379 640355.